HDC Fossil CHPL: The world's most durable interpretation panels, boards & signs! HDC Fossil CHPL interpretation panels, boards and signs are tough, durable, vandal resistant, environmentally-friendly, inexpensive and built to survive for a long, long, long, long time. They are the most durable interpretation panels on the market - so good in fact that we GUARANTEE them for a full 10-years! It costs time, money and effort to install an interpretation panel or board; Planning, researching, designing, writing, illustrating, photography, fabricating, pre-testing and installing an interpretation panel is a big investment, so you need to know that your interpretation panel is going to be around for a while! The reality is that most interpretation panel, board and sign materials on the market aren’t fit for purpose. Most interpretation panel materials are easily damaged, fade, chip, delaminate, crack, turn milky or opaque, get vandalized. Most interpretation panel materials are not environmentally friendly and harm the planet. Most interpretation panel materials just don’t last. HDC Fossil custom high pressure laminate (or CHPL) outdoor graphic panels and boards are the highest specification outdoor interpretation panels and signs on the market. 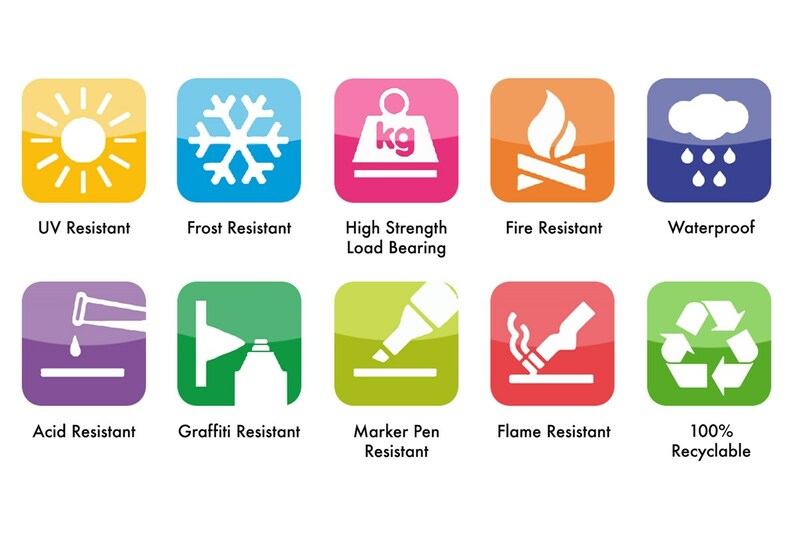 Both laboratory and field tests prove that these out perform anything else available including GRP, fiberglass, vinyl, acrylic, aluminum and polycarbonate. 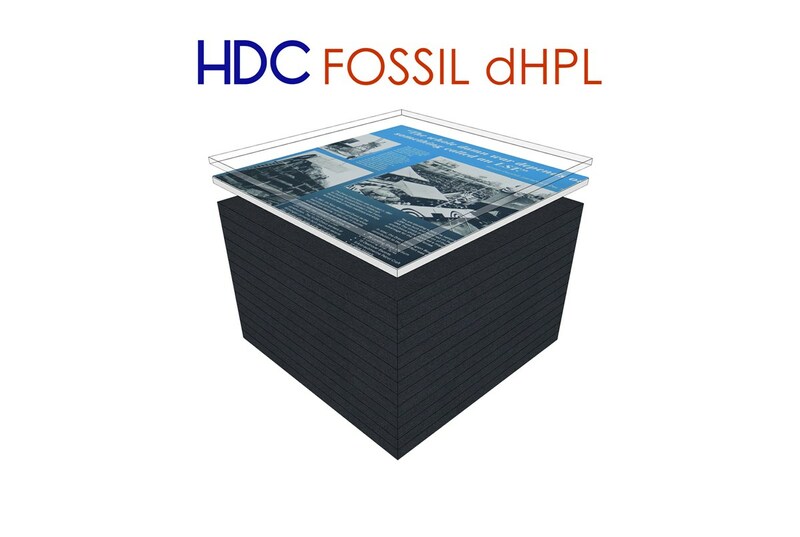 HDC Fossil high pressure laminate interpretation panels and boards are formed into a solid composite sheet under immense heat and pressure using environmentally friendly resins and recycled materials. Our panels are so environmentally friendly they are GREENGUARD certified! HDC Fossil CHPL panels and boards are fire retardant, impervious to moisture and resistant to UV rays, scratching, chipping, cracking, impact damage and graffiti! HDC Fossil CHPL interpretation panels and boards are protected with a UV inhibitor, which is guaranteed for a full 10-years – no other panel manufacturer is that confident in their panels! HDC Fossil custom high pressure laminate outdoor interpretation panels, boards and signs are manufactured with a smooth sub-surface, facing image printed using our own 12-Colour HD Printing process using environmentally friendly inks. HDC Fossil CHPL interpretation panels and boards are available in thickness from 0.035” / 0.8mm to 1.0” / 25mm. HDC Fossil CHPL interpretation panels and boards over 1/2” / 13mm are self-supporting and can be fitted with threaded inserts. Panels of 0.035” / 0.8mm or less can be formed to simple bends and profiles. HDC Fossil CHPL interpretation panels and boards can be custom cut to any shape and can incorporate insert, slides and hinged doors and flaps. HDC Fossil CHPL interpretation panels now feature the world’s most advanced printing! The world’s most durable interpretation panels and signs now feature the world’s most advanced 12-colour printing process! 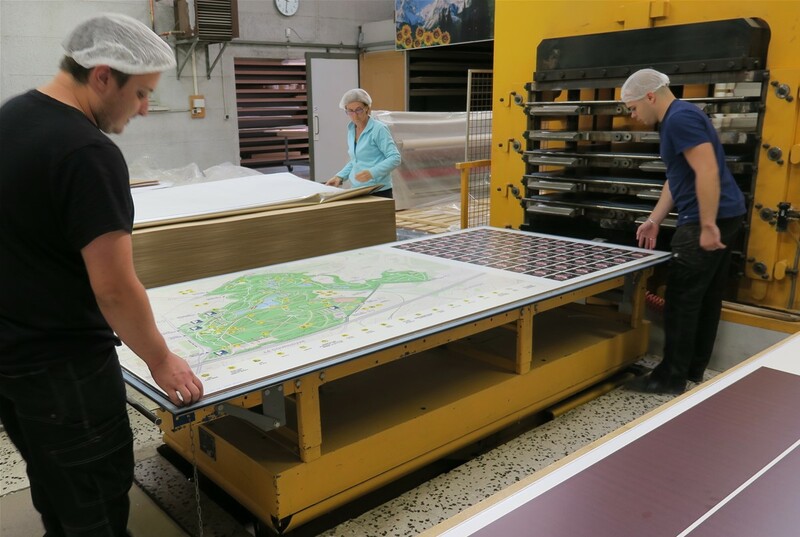 Developed by Fossil Industries, the 12-Colour HD Printing™ creates interpretive panels, boards and signs that are clearer, crisper and more detailed with truer richer colours. This revolutionary printing process delivers superior clarity, more intense colours, bright whites, solid blacks and a vastly expanded colour gamut that cannot be achieved with normal 8-colour printing - it’s like comparing HDTV to regular TV! Contact us to discuss all your interpretation panel and sign needs.